Hello everyone! 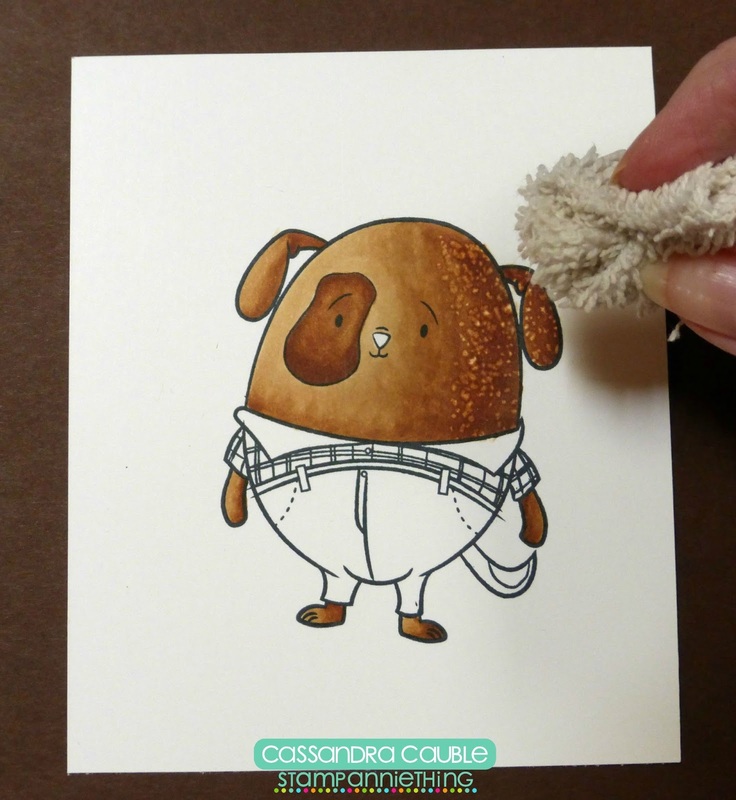 Melissa here with a new card for you today. This card features the skunk from the lil series. To make the background, I stamped the skunk and then cut out a mask with the same image. After I applied the mask, I inked the background with distress ink, Salty Ocean and Mowed Grass. The skunk is colored with Copic Markers. One of the sentiment stamps is on a mini tag die from Jaded Blossom. 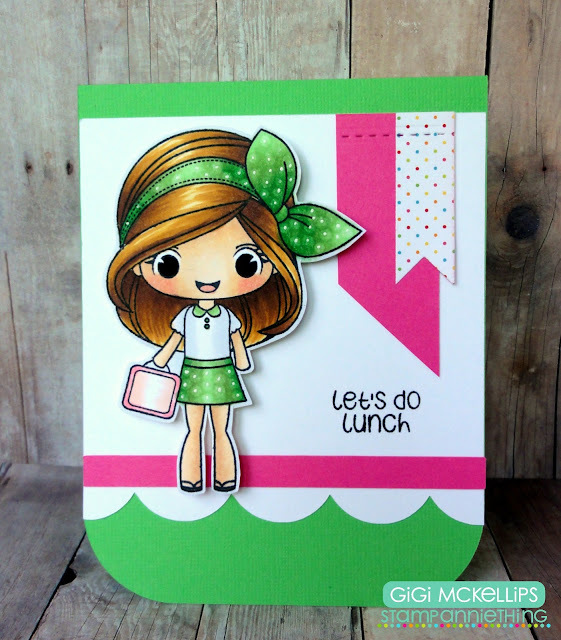 I used the Diana-Let's Do Lunch stamp set on this card. 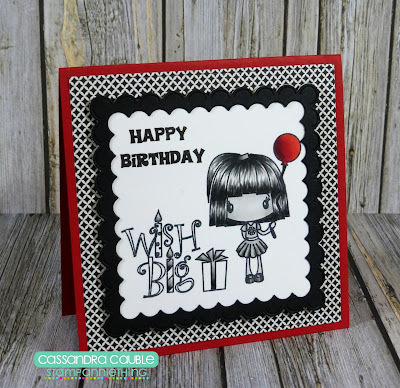 I started this card with the SVG Cutting File Simple Label Card Base and cut it out with my Cameo. I added a strip of red polka dot along with a scallop border I cut using the Jaded Blossom Border Dies. I stamped and half colored and half paper pieced Diana. I cut her out using the Stitched Circle Dies and mounted it to the Scallop Circle Die. To finish, I stamped the sentiment and added some Doodlebug Sprinkles to the sides of the sentiment. at Stamp Anniething!!! Hope you are having a great summer, I am at camp most of the time so it is easy to color there but I don't have much of my supplies so I put all my projects together at home!!! Hello! Mel here with a new card for you. Today I made a card featuring the "cool chick" Chloe. 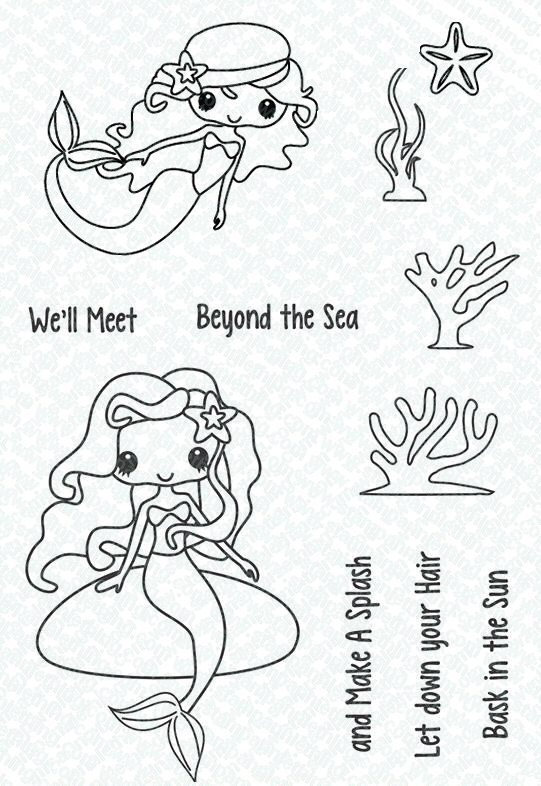 The darling girl and the sentiment are included with the Chloe - Stay Cool stamp set. Hello everyone! This is Cassandra from Creating with Color by Cassandra. 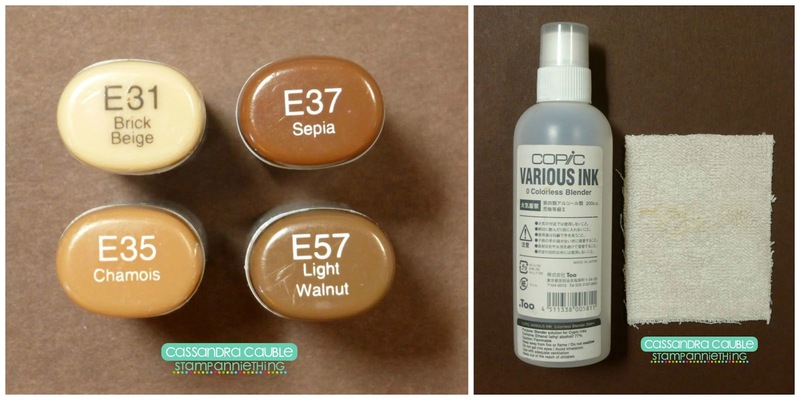 I thought I would do something a little different today and show you how to add a little texture to your Copic project. 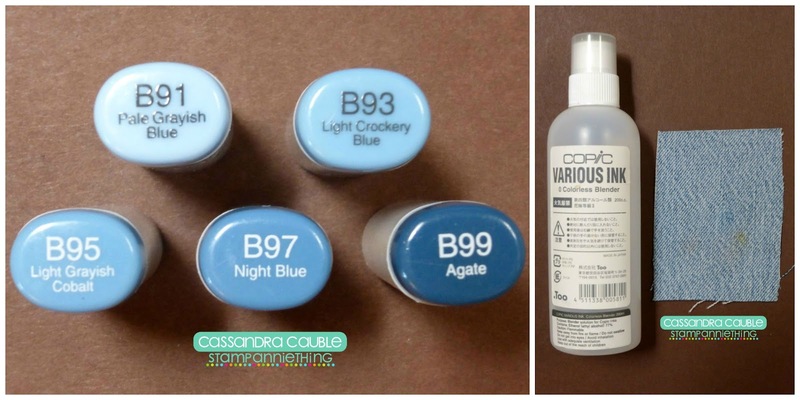 First, pick your Copic colors. Then, you need some Copic Blending Solution. And finally, you need a couple of textured material pieces. For my project today, I have a piece of terry cloth and a piece of denim. Color your image in the area you wish to texture. Always do this first, because if you color the whole image and then texture - you may end up texturing areas that you don't want to. 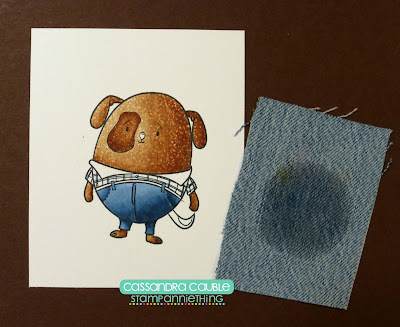 Apply blending solution to your piece of fabric. **Remember a little goes a long way. Next, fluff up the fibers with your finger nails. Then, gently apply pressure with the material on your colored image. About 3 seconds usually does the trick. And then lift. Continue as desired to the rest of the image. This is what he looks like when finished. Depending on how it turns out, it can look a little speckley (if that's a word lol) or it might even look a little like fur. Next, I colored in the jeans of this little fella. I could have just left it alone, but I decided to add even more texture so that they could look like real jeans. Apply solution to the piece of denim. Now this time, instead of bunching it up between your fingers - you are going to lay it flat down on the part of the image you wish to texture. And you are going to apply pressure with the palm of your hand. (Sorry I don't have a picture of that, but I couldn't do that and take a picture at the same time lol). And voila! Now he has on real jeans!!! How cool is that?!? Now, finish coloring your image and complete your final project. 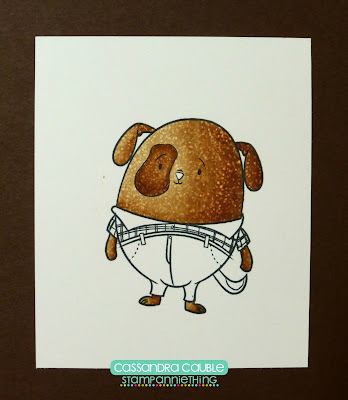 This little fella is the Stamp Anniething ~ Dog Gone Cute. I don't know about you, but if I was having a "ruff" day - he sure would make me smile! 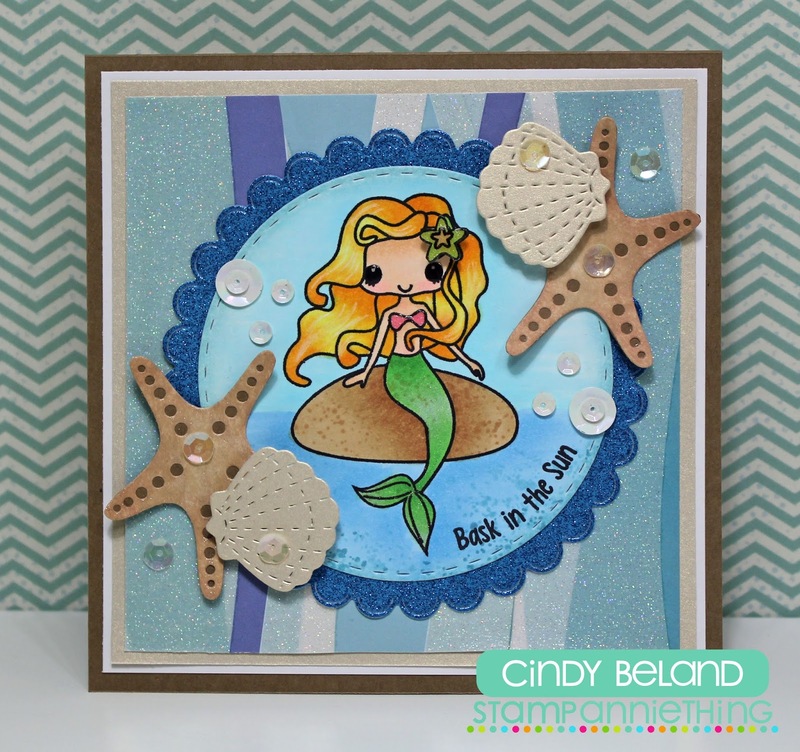 The green card base is made with cardstock from Simon Says Stamp. 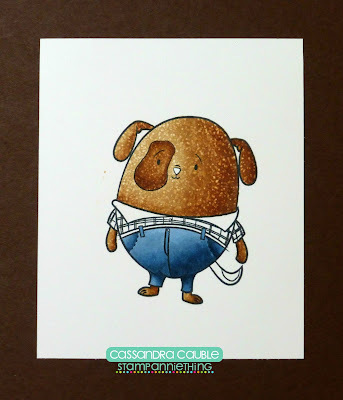 The yellow cardstock is from Papertrey Ink. And the fun patterned paper is from the Simple Stories ~ Harvest Lane collection. I cut the polka dot piece with the Jaded Blossom ~ Card Mat Dies. The white piece is cut with the Jaded Blossom ~ Stitched Square Dies. The label is cut with the Jaded Blossom ~ Mini Tag Dies 2. And the sentiment is also from the Stamp Anniething ~ Dog Gone Cute. Well my creative friends, that's it for me today. I hope you enjoyed my fun little tutorial. I will see you all again soon. Have a great day everyone! Labels: Cassandra , Dog Gone Cute! I just LOVE Diana! She is so super cute! I cut a standard A2 card base and added a decorative paper mat. 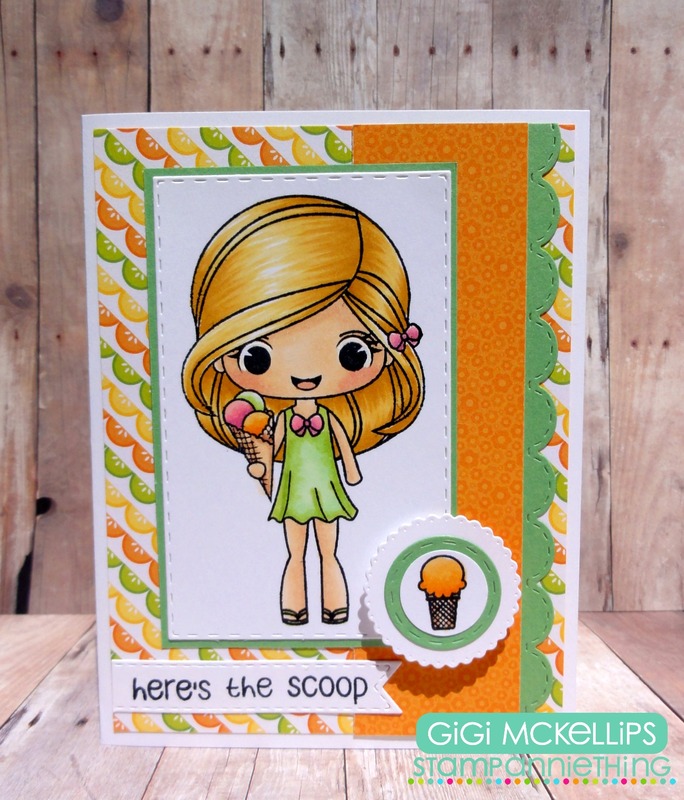 I stamped and colored Diana-Here The Scoop with Copic markers onto a mat I cut with the Jaded Blossom Goody Bag Die. 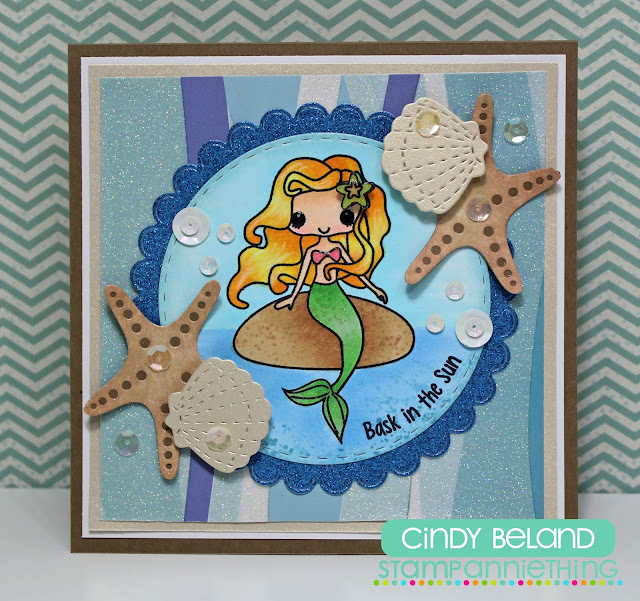 I added the scallop side strip cut with the Border Dies and the sentiment banner cut with the Mini Tag Dies 2. I stamped and colored the small ice cream cone onto a punched circle and matted it with dies cut from the Scallop Circle and Stitched Circle Dies. sea stars and sea shells. I just love the look!!! Hello! Mel here with a new card for you today. Since it is still summer, I wanted to play with the sweet girl in the swimsuit stamp, Lorraine. She is colored with Copic Markers and I paper pieced her pool float. 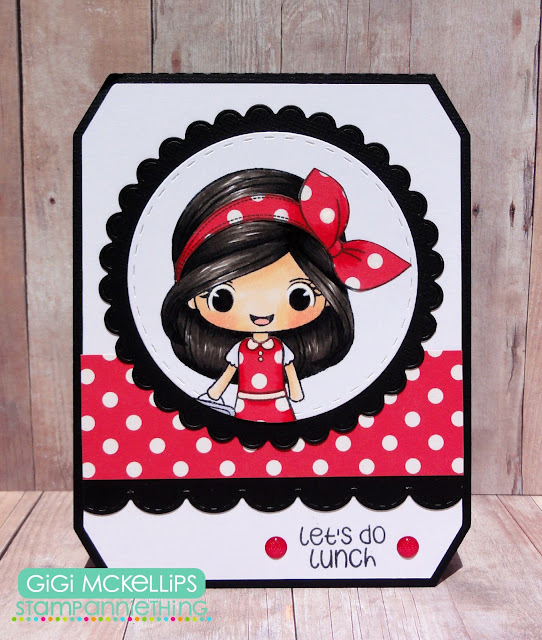 The pattern papers are from Doodlebug Designs. Hello everyone! This is Cassandra from Creating with Color by Cassandra. 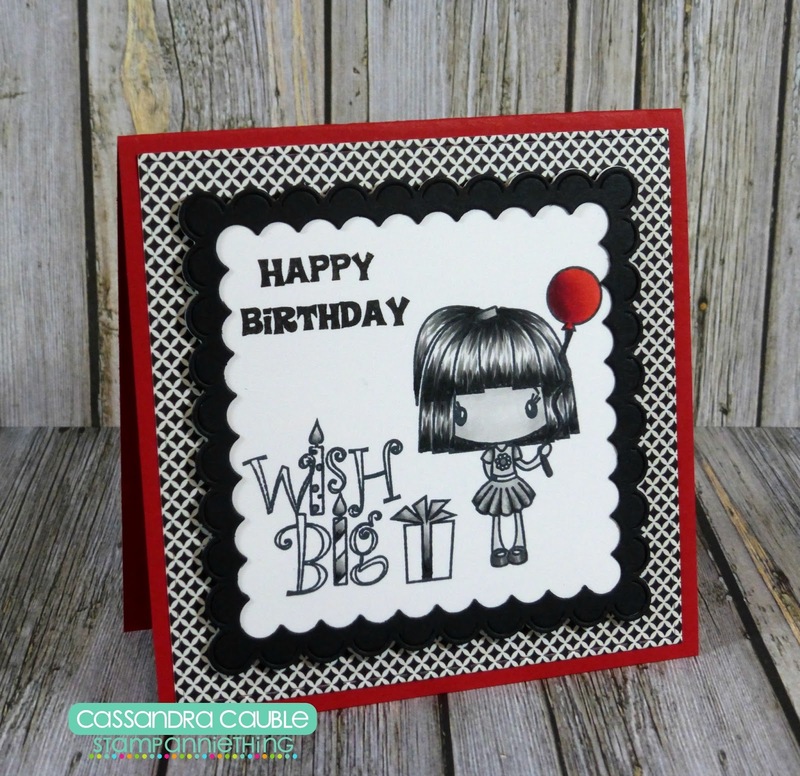 And today I have a fun monochromatic birthday card with just a pop of color to share with you. This is a fun 4.25 x 4.25 card. 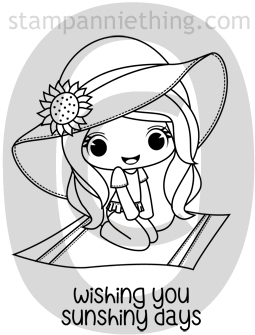 All of the images and sentiments are from the Stamp Anniething ~ Wish Big. I colored this cutie with Copic Sketch Markers. 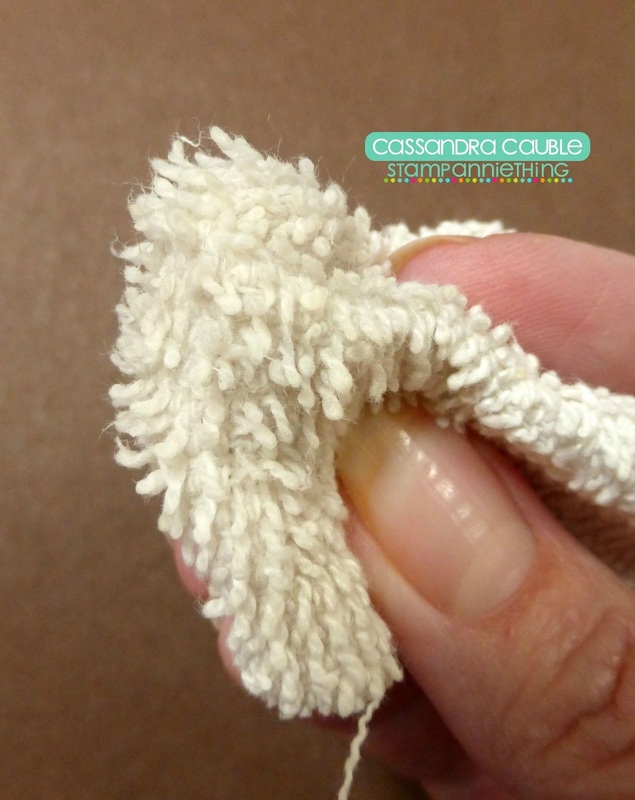 The square shape is cut with the Jaded Blossom ~ Stitched Square Dies. And the scallop shapes are cut with the Jaded Blossom ~ Scallop Square Dies. Well my creative friends, that's it for me today. For more details, hop on over to my blog. I will see you all again soon. Have a great day! 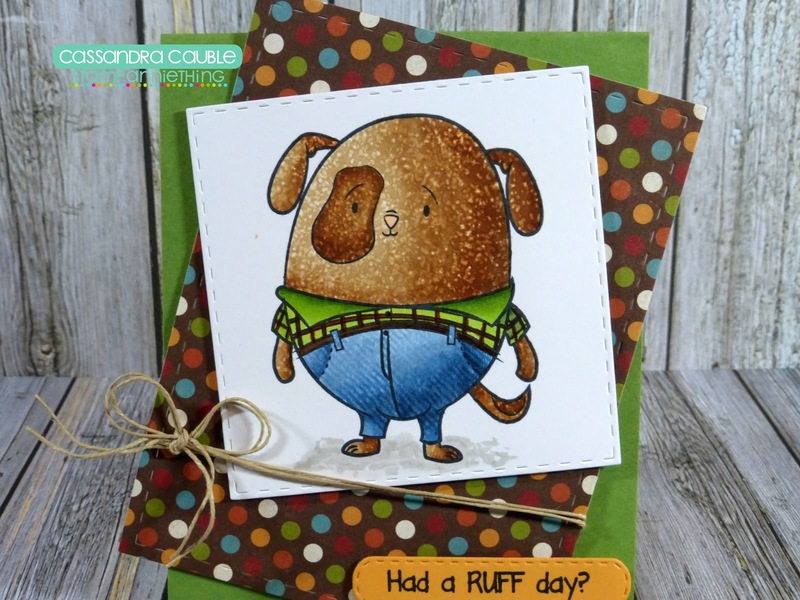 I used the Trudy-Happy Day stamp set on this card. 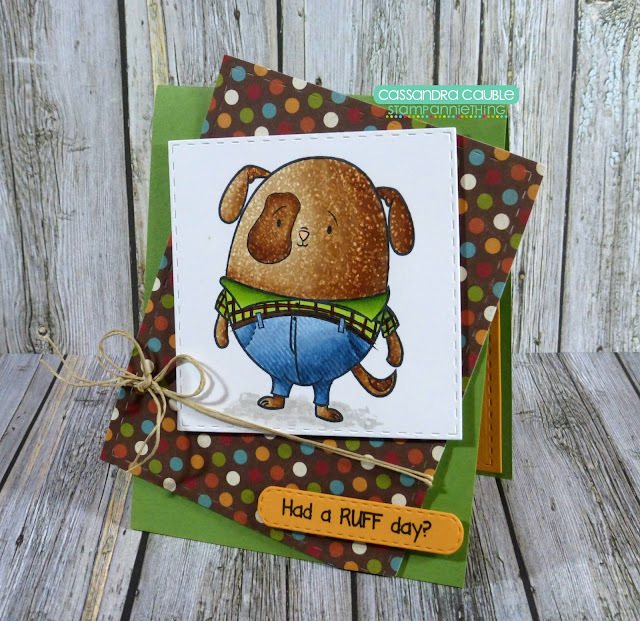 I started this card with the SVG Cutting Files Stripe Layer 1 Card Sketch and cut it out with my Cameo. I added some Doodlebug Sprinkles over the holes and an extra white mat. 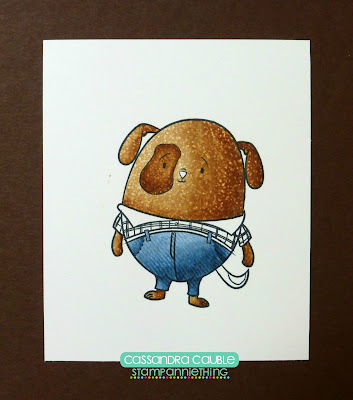 I stamped Trudy and colored her with Copic Markers. I cut her out by hand and glued her to the mat. To finish, I stamped the sentiment. July Release Day #3- You're An A+ In My Book! 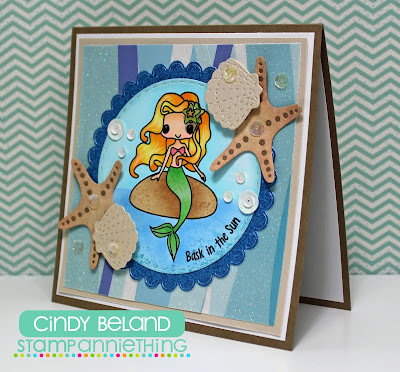 Hi and welcome to Day #3 of Stamp Anniething's JULY release! Can you believe we are on our FIFTH release already? This release is to get you all ready for BACK TO SCHOOL!!! This is such a great one for your book lover friends.. how cute is she sitting on her stack of books? Included is a small "You're an A+ in my book!" sentiment as well. July Release Day #2- Got Class? 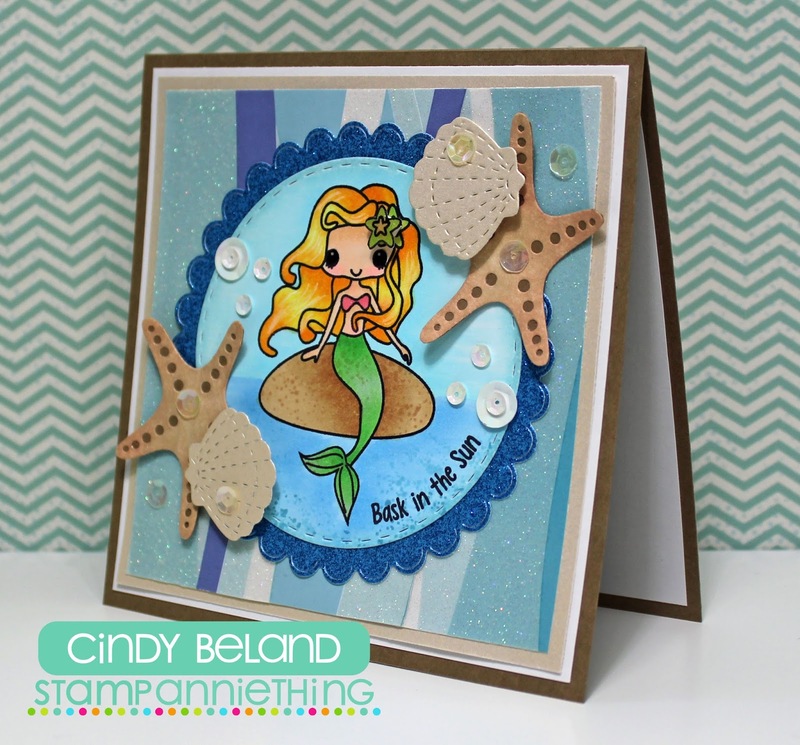 Hi and welcome to Day #2 of Stamp Anniething's JULY release! She is so super cute with her little back pack on! Included is a small "got class" sentiment as well. Chloe will be available in the store FRIDAY along with the other 2 stamps we show you for you this week!! 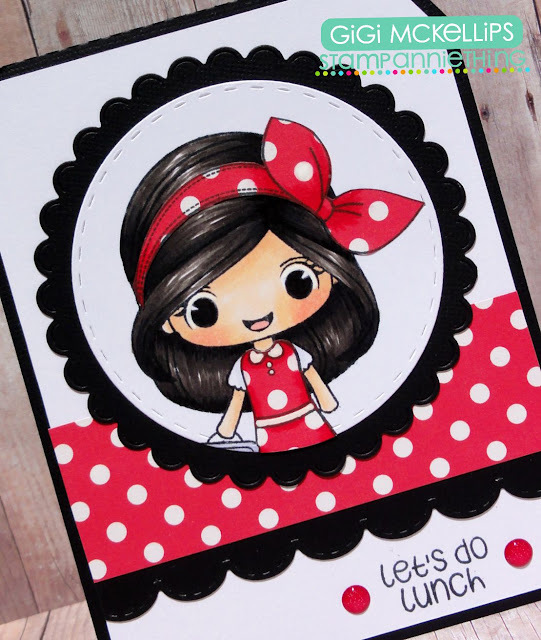 Hi and welcome to Day #1 of Stamp Anniething's JULY release! Do ya wanna do some lunch? Ask a friend with Diana! Included is a small "let's do lunch" sentiment as well. 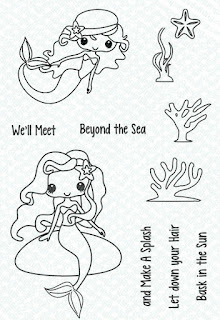 Diana will be available in the store FRIDAY along with the other 2 stamps we show you for you this week! !